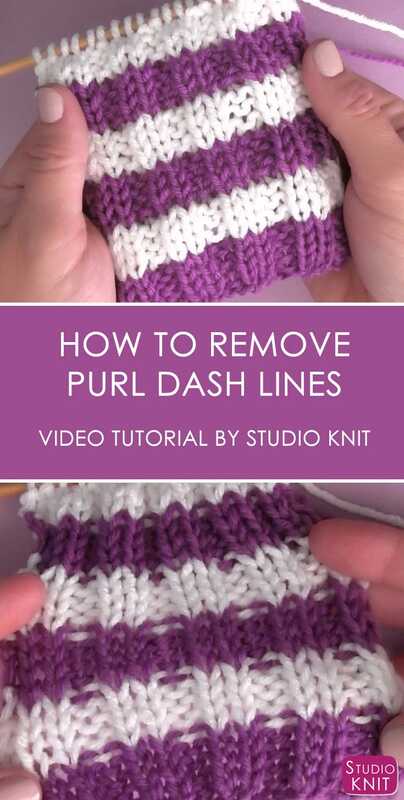 You’re going to love my super simple trick on how to remove purl dash lines when changing colors in knit stitch patterns that have a combination of both knits and purls in the same row. Have you ever noticed when knitting up a hat or scarf with a bit of texture, that when you change your yarn colors, the right side of your work looks a little bit like the wrong? You can see the little dashes of the old color showing through the new color change, making it look (to your practiced eye) a little sloppy, so let’s take control and make it pretty. 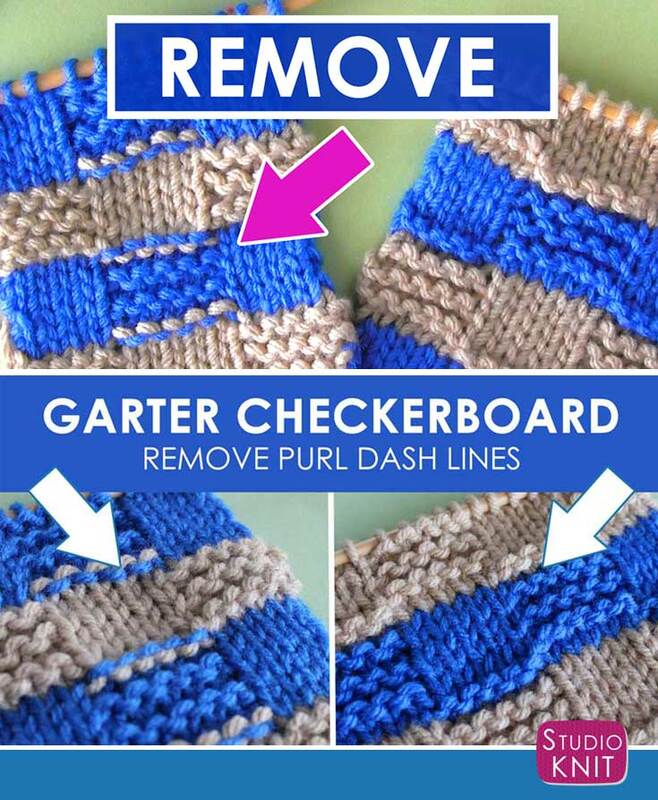 Luckily for us knitters, there is an easy fix to remove those purl dash lines when changing yarn colors to knit stripes. 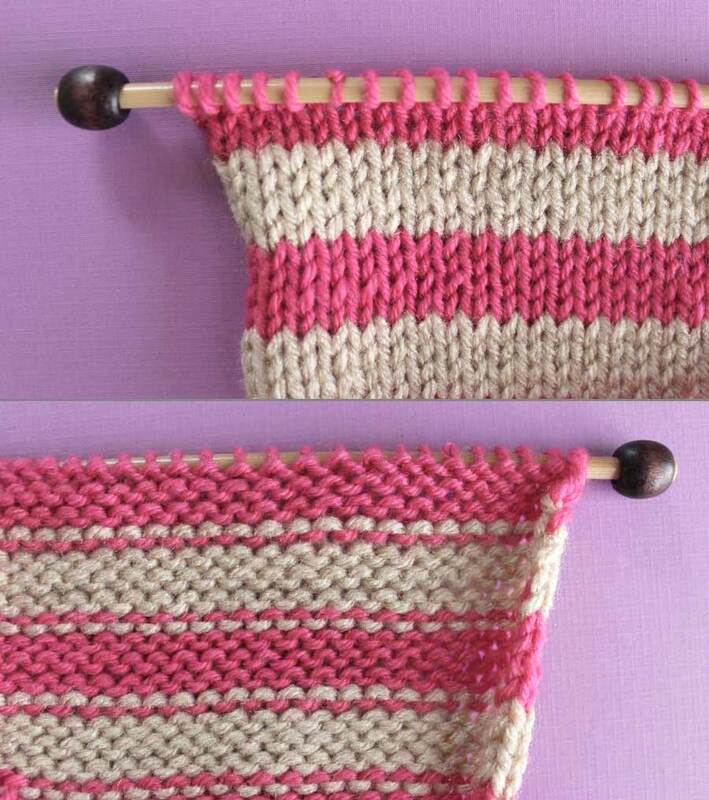 This knitting hack not only makes your work look flawless, but it is super simple. 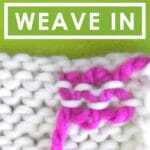 Let’s check it out together with some specific knit stitch patterns. When changing yarn colors on straight knitting needles for a flat knitted piece, you will always have a distinct right and wrong side of your work. Even with a pattern like the Garter Stitch that is Reversible when knitted with one color, the color change lines will be obvious on the wrong side of your work. 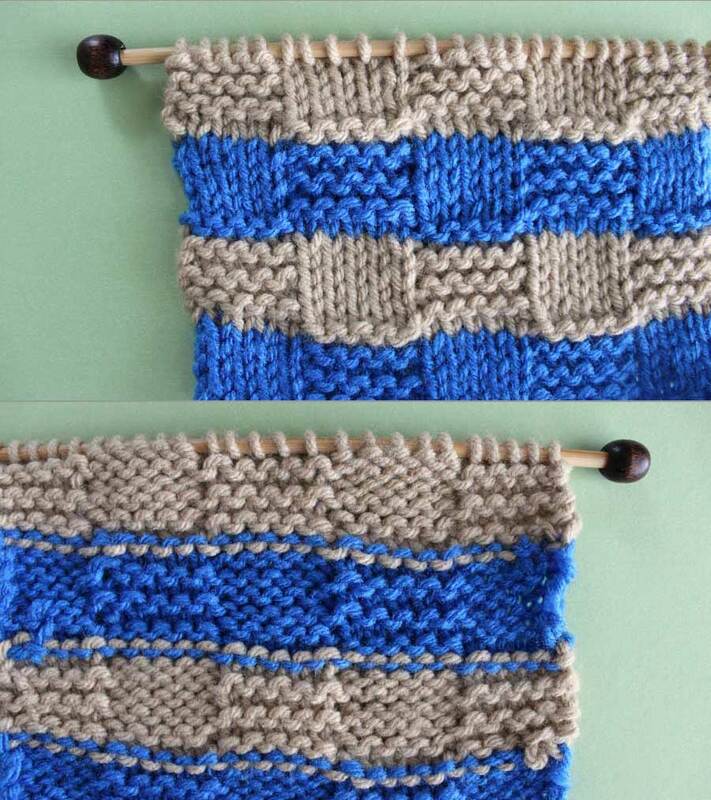 I am adding photos below to demonstrate how each side looks for the different patterns when changing yarn colors to knit stripes. 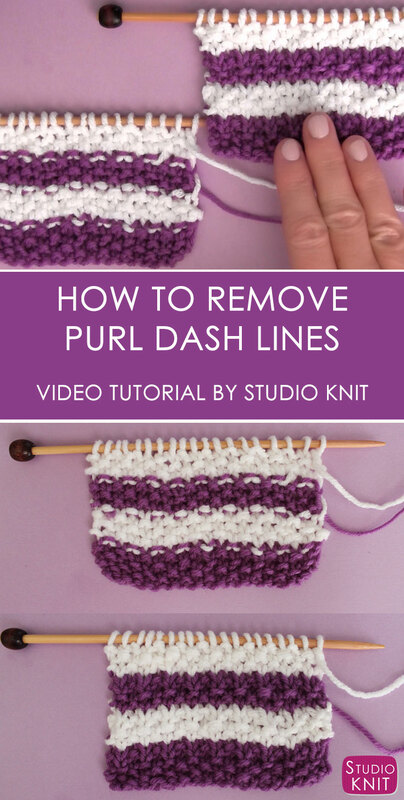 Ready to learn the secret for removing purl dash lines in any pattern? For any pattern that has a combination of both knits and purls on your yarn color change row, simply knit the entire color change row on the right side OR purl the color change row on the wrong side instead. Okay, that sounds really easy! Let’s take a close look at exactly how to knit some basic Stitch Patterns to see exactly how we remove those purl dash lines. GET KNITTING FREEBIES – JOIN MY MAILING LIST! 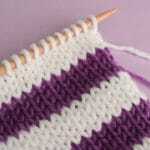 There are two No-Brainer Stitch Patterns that need no pattern adjustments when changing yarn colors to knit stripes. 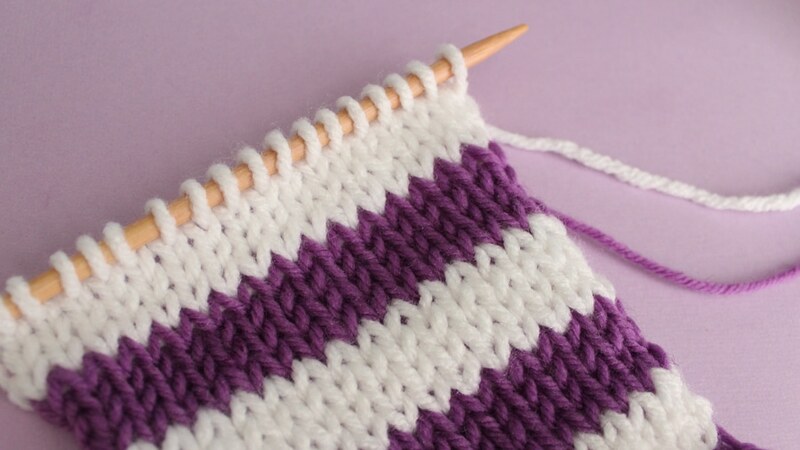 Let’s begin by taking a quick look at the best way to knit stripes with the simplest of patterns, the Garter and Stockinette knit stitch patterns. 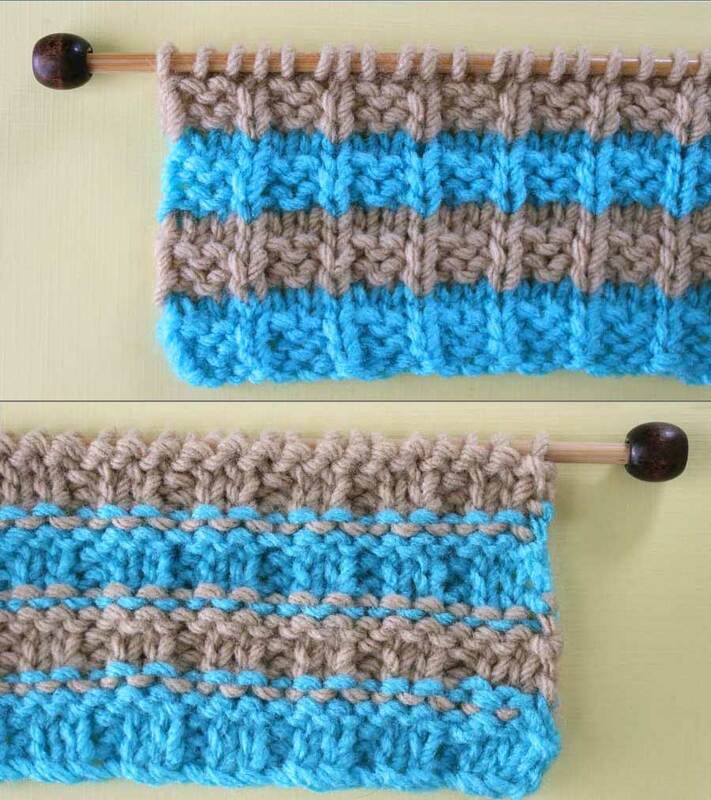 When you are knitting every row in your knitting swatch, you are creating the most basic knit stitch pattern, the Garter Stitch. 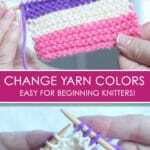 How to Change Yarn Color for the Garter Stitch: When changing your yarn color, always do so on the right side of your work by knitting the entire row. So sweet and simple! When you are Knitting one row, then Purling the next, you are creating the Stockinette Knit Stitch Pattern. You’ll see that my sample is curling up a bit on the edges. Totally common for this pattern. To fix it, I like to add Garter Rows to all sides of the work to help it lie flat. Blocking my work really helps, too. How to Change Yarn Color for the Stockinette Stitch: When changing your yarn color on the right side of your work, KNIT the entire row (Row 1). Or, PURL the entire row if you are changing color on the wrong side of your work (Row 2). Following are the Knit Stitch Patterns that need slight adjustments in the pattern to help create a perfect color change row. 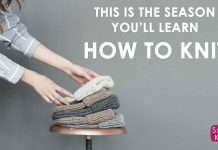 Below I am including the following 5 examples so you can best understand how to modify basic stitch patterns when changing yarn colors in your next knitting project. 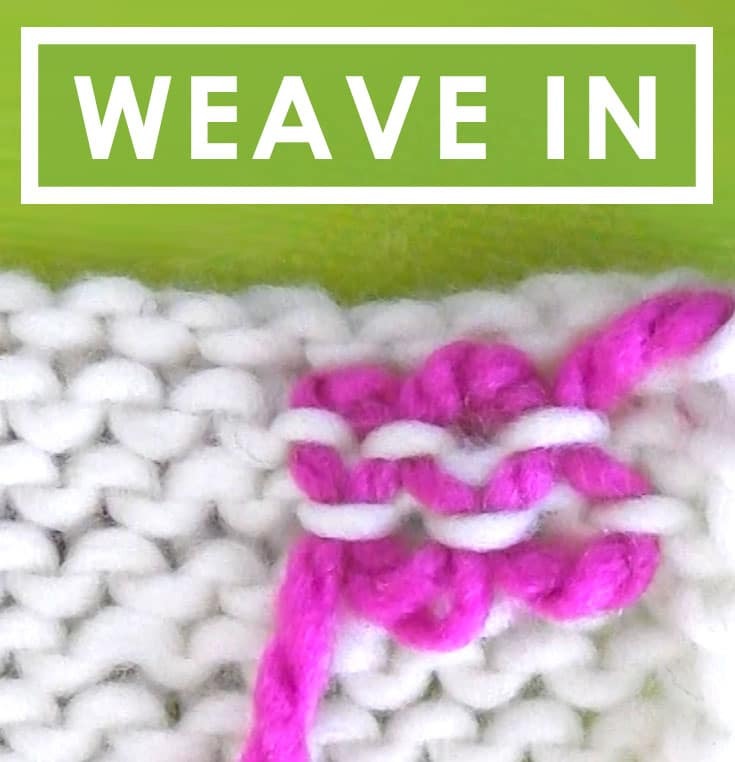 The 2×2 RIB Stitch a bit thicker and is great for knitting scarves, hats, blankets, and more! You can see that along the line of the color change, there are little purl dash lines that make our work look a little sloppy. It’s not terribly noticeable, especially if your rib stitch is closed up, but there is a way to perfect it! Typically, we would change yarn colors and knit a * K2, P2 * repeat pattern. However, we are going to knit a clean yarn color change row by simply knitting that entire first row instead. CAST ON: In Multiples of 4 Stitches. REPEAT: Rows 3 and 4 until the length desired. READY TO CHANGE YARN COLOR AGAIN? Once you’ve completed Rows 3 and 4, begin again with a new yarn color on Row 1 by knitting that entire row on the right side of your work. KNITTING OTHER RIB STITCH PATTERNS? 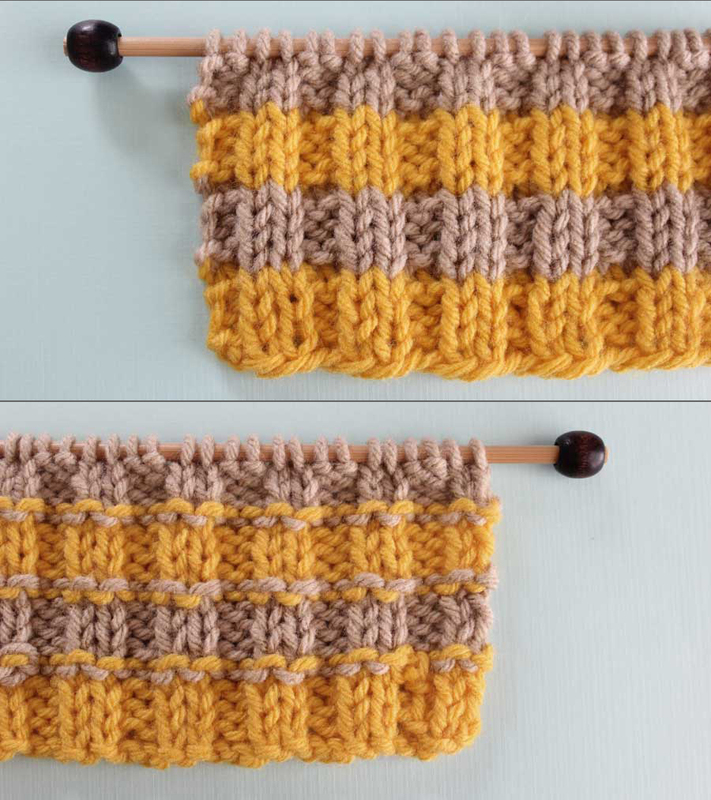 There are seemingly infinite Rib Stitch Patterns, like 1×1, 2×3, 3×5, and on and on… For all of these, you can use this exact same pattern by simply knitting up the right side of Row 1 with the knit stitch all the way along the row. BUT IS THIS RIB PATTERN STILL STRETCHY? Oh, yes! The stretchiness of your Rib Stitch Patterns, even when knitting the entire color change row, is still totally intact. Hooray! 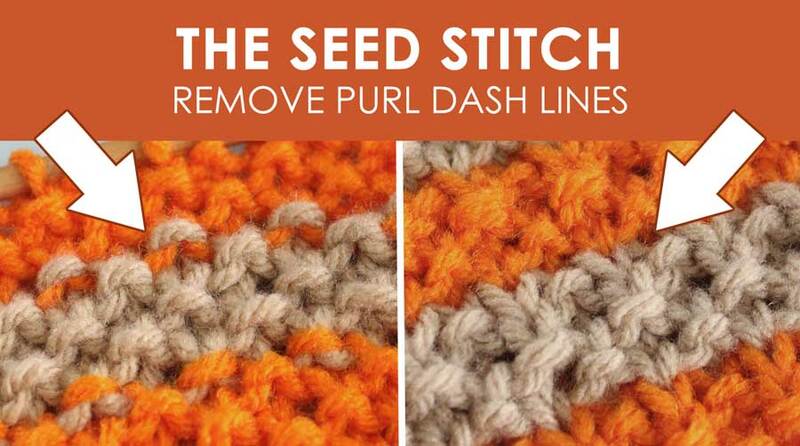 This Knit Stitch Pattern is called the Seed Stitch because the raised bumps from your PURL stitches resemble seeds. It creates a really pretty and sturdy piece of knitting. You can see that along the line of the color change, there are little purl dash lines. Let’s fix it. 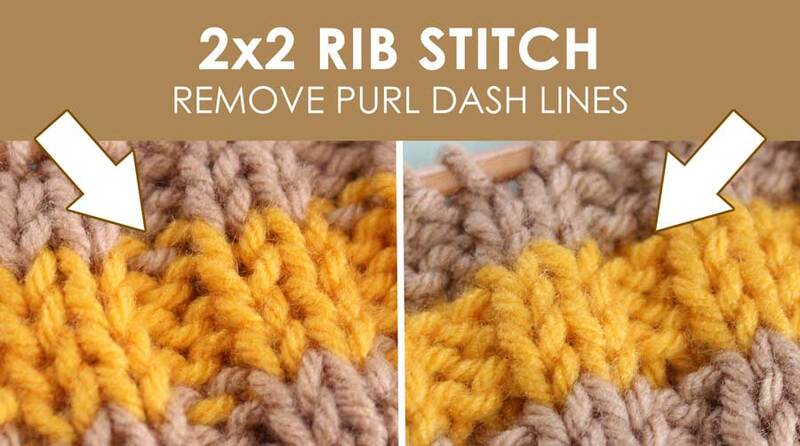 Similarly to the 2×2 Rib Stitch above, we are going to clean up that purl dash line by switch the Seed Stitch pattern of * K1, P1 *, K1 to simply knit the entire first row instead. This technique really works! The Seed Stitch looks so much better. And nothing is easier than knitting an entire row, right? CAST ON: An Odd Number of Stitches. CHANGE YARN COLOR: On Right Side of Work, before knitting up Row 1. 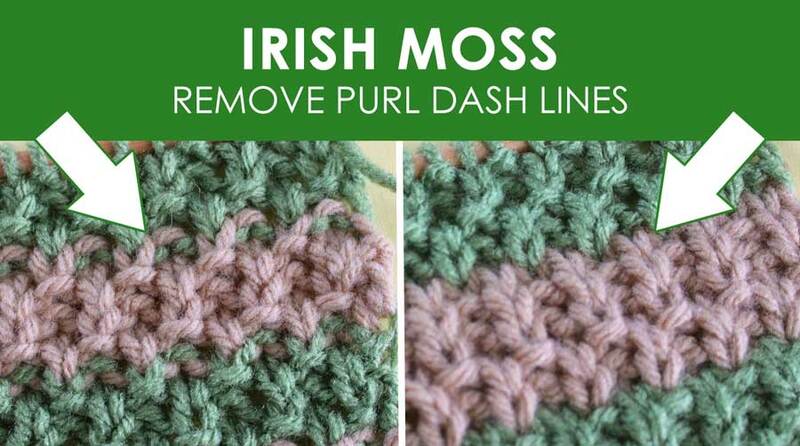 The Irish Moss Stitch, also called the American Moss Stitch, is similar to the Seed Stitch above, but with a slightly thicker texture. It’s nice and squishy, too. You can see the little green purl dash lines within the tan color, and vice-versa. 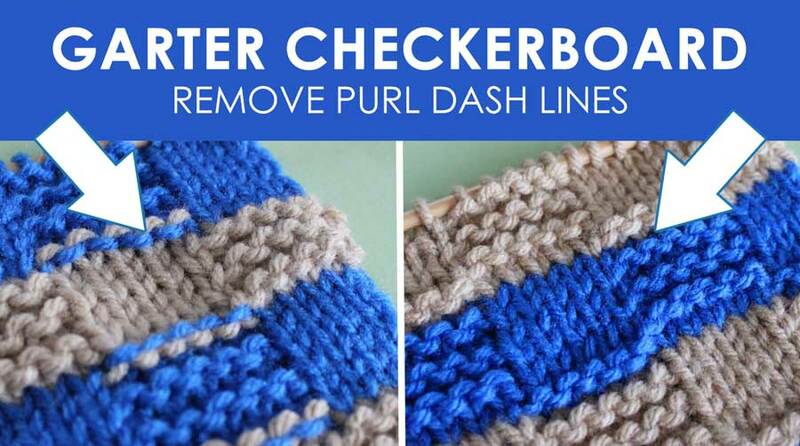 Let’s take a look at how to remove those purl dash lines by changing up the pattern just a bit. 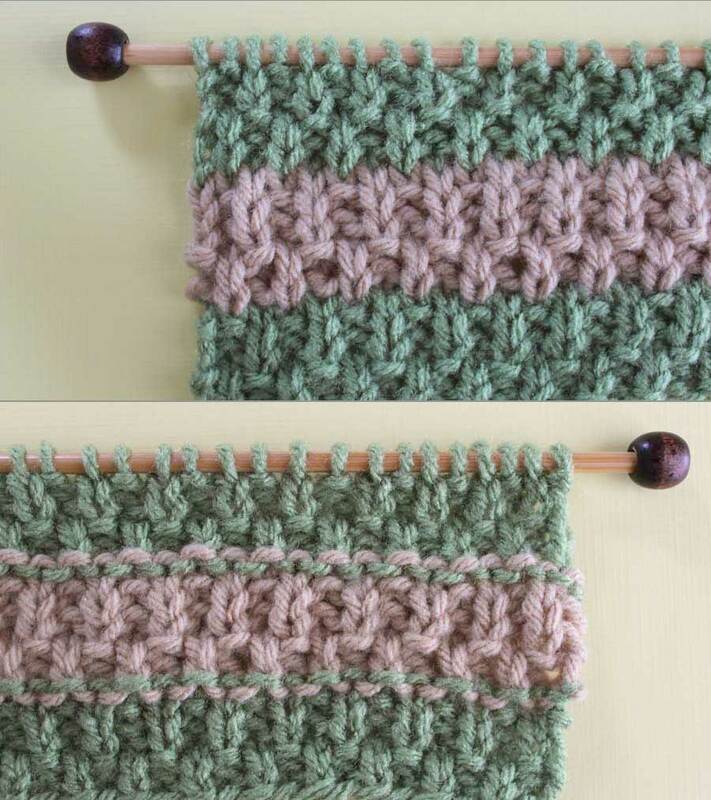 Let’s clean up that purl dash line by modifying the pattern as we did with the Seed Stitch by simply knit the entire first row instead. REPEAT: Rows 1 thru 4 until the length desired. READY TO CHANGE YARN COLOR AGAIN? 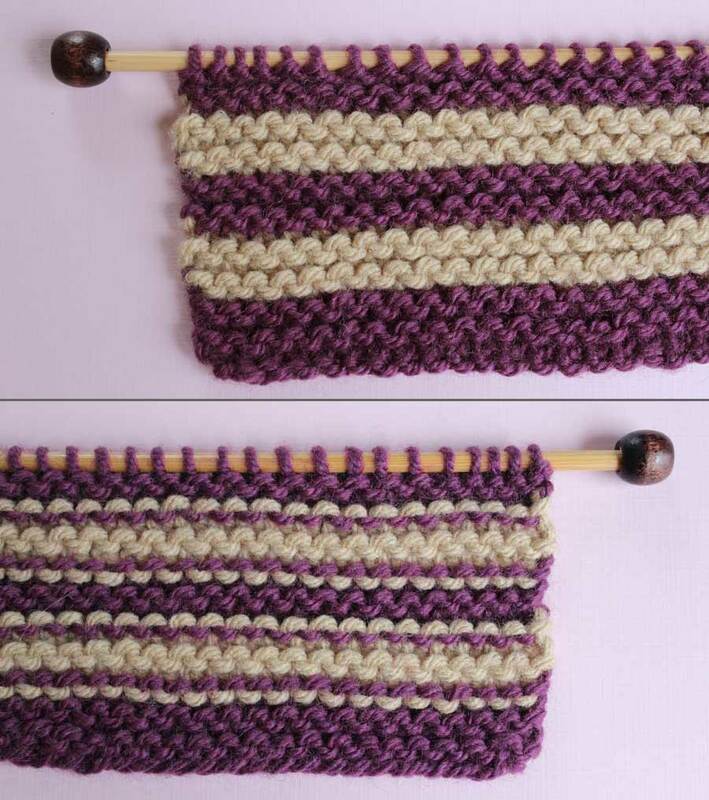 Begin again with the above Color Change Pattern by knitting the entire first row on the right side. 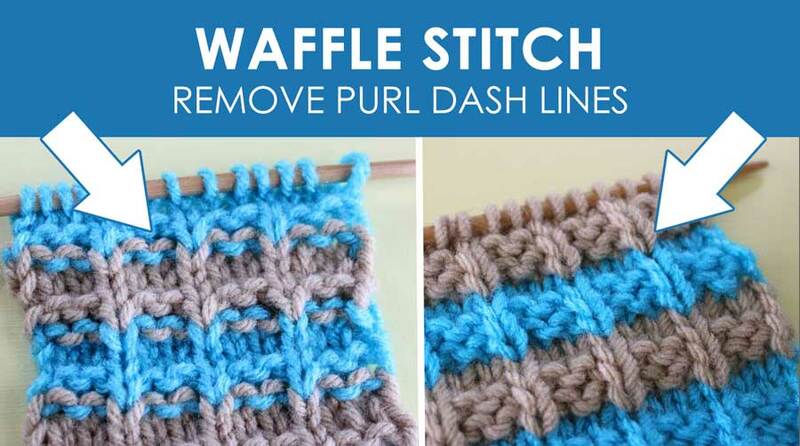 The Waffle Stitch also has a really fun texture, and syrup is optional. This yummy Waffle Stitch Pattern, with its series of knits and purls, resembles one of our favorite breakfast treats! You can see the little blue purl dash lines within the tan color, and vice-versa. Let’s take a look at how to remove those purl dash lines by deciding when to change our yarn colors in the pattern. Unlike the patterns above that are chock-full of knit and purl combinations on every row, this pattern actually has an entire row of the purl stitch to help us out. So, let’s take advantage of keeping the pattern intact, but deciding when to change yarn colors. Repeat 4 Rows until your piece is the length you desire. 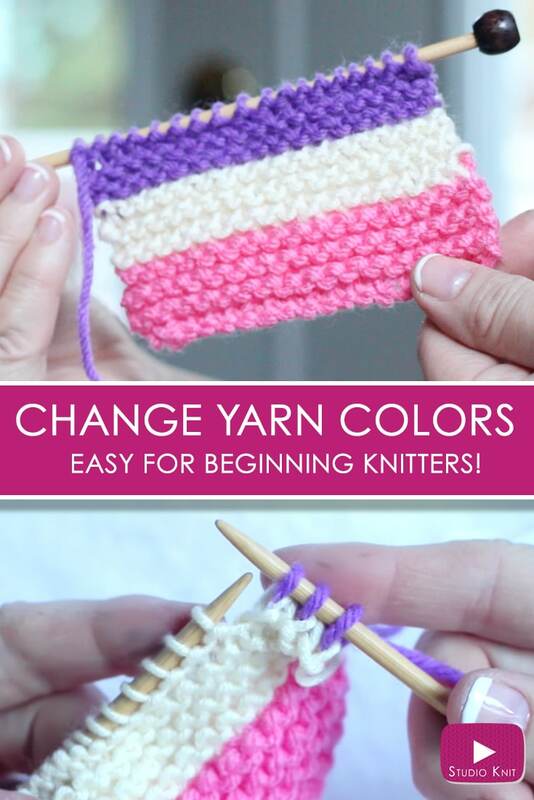 READY TO CHANGE YARN COLOR? When you are ready to change your yarn color in this pattern, simply begin your new yarn color before Row 4 and purl that entire row on the wrong side of your work. This pattern actually has entire both rows of the purl stitch and the knit stitch to help us out like the Waffle Stitch above, yay! But, it’s a little more complex. So, let’s take a look at when to best decide to change yarn colors. 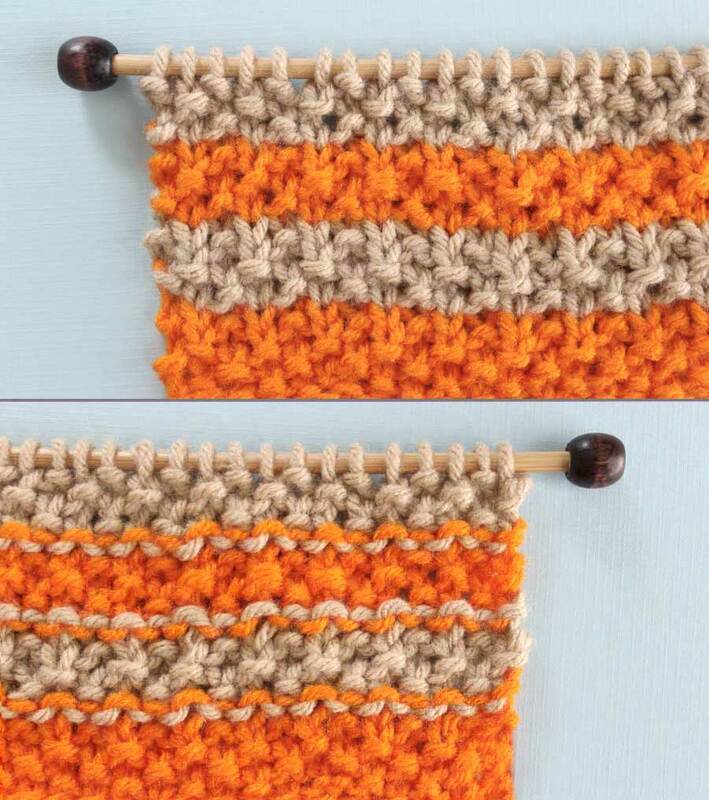 Repeat: Rows 1 through 14 in pattern until your work is the length you desire. EXTRA YARN TAIL WARNING: This pattern has us change yarn colors once on the wrong side of the work and then again on the right side. That said, it means you will have to cut your yarn and begin it again on the opposite side of your work and will not be carrying it up the side like most of our knitted stripe patterns. Looking closely at the pattern, changing one yarn color all the way across the row doesn’t make the checkerboard effect look as perfect as it possibly could. To do that, we would be carrying both colors across the yarn color change row, which is a little trickier. However, this is a nice little hack to easily change yarn colors as needed. Get my newly updated “Knit Stitch Pattern Book”— which now includes stripes — to create your favorite basic knit stitch patterns. You will receive downloadable digital .pdf printable with written and photographic samples of essential knit stitch patterns for beginning knitters. I hope you are inspired to change yarn colors and knit stripes with confidence in your next knitting project. If you’d like even more great knitting ideas, please make sure you join my mailing list. 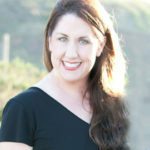 Subscribing to my YouTube channel Studio Knit is another free and easy way for us to stay connected and help support my work.